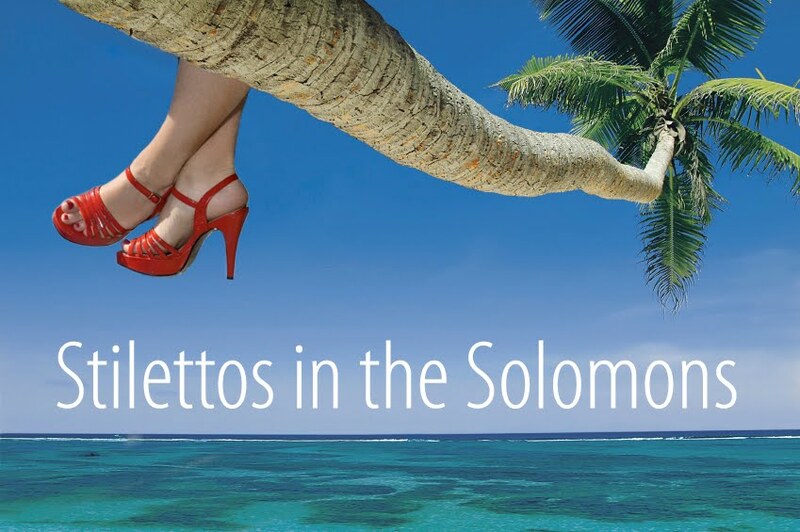 Stilettos in the Solomons: Solomon Island Recipe of the Week-Fish Curry, baby! Solomon Island Recipe of the Week-Fish Curry, baby! Who can resist trying out a recipe with “Slippery Cabbage” in the title? Unfortunately I had no slippery cabbage, let alone a puzzle of it, but I did have a three-week-old remnant of red cabbage sitting forlornly on the bench (Editor's note: Clearly my bad behavior re: ignoring my cabbage for weeks on end has rubbed off on poor Helen. Anyway, continue on). For a low saturated fat option I went with a can of coconut flavoured evaporated milk (like a true kiwi dairy lass), a curious mix, but quite tasty and much easier than scooping out coconuts themselves (I imagine, having never scooped out a coconut)(Editor's note: I have...its hard work!). In went the finely sliced red cabbage, some chopped red onion, a dash of chilli powder, a chopped tomato and some spring onion (no shallots in cupboard either) (Editor's rant: THE OUTRAGE! NO SHALLOTS! WHAT KIND OF SHODDY CHEF ARE YOU, HELEN??? ), finished off with a generous sprinkling of salt. Result: a tasty purple soup (Editor's note: ala Bridget Jones, who made blue soup.) To my surprise the soup was just as nice reheated gently the following day for lunch. Am looking forward to more recipes and will be stocking up on coconut flavoured evaporated milk in anticipation. 1. Pour yourself a gin and tonic. You will thank me for it later. 3. Heat oil and add curry, stir under low heat. 4. Add tomatoes, stir...stir like the wind, damn you! 5. Add fish into the mixture; stir to allow mixture to coat the fish. 6. Cook them very slowly on low fire (I assume that means heat but in the Solomons, it DOES usually mean fire) till the fish is cooked. 7. Add salt/pepper to taste. 8. Make sure to eat the fish head. I'm a big advocate of eating fish heads; they are tasty and highly underrated. The eyes are especially yumtastic! 9. Pour another gin and tonic and/or mojito. That's this week's recipe...next week: Christmas Feast: Solomon Style! Till then, wear you stilettos and keep rockin on. The instructions for 1. apparently worked only too well and you forgot to say when the lime goes in. and also what part of it. So necessary to have these things spelled out for a cook who will no doubt be "influenced" in the same way. I knew I would get into trouble for substituting spring onion for shallot. It really is a culinary sin. I'm sorry.